Serving theSacramento, Arden Arcade, Carmichael, Citrus Heights, Roseville, Rocklinand surrounding communities, the health professionals atJennings Chiropractic Neurology Clinicare dedicated to helping you achieve your wellness objectives -- combining skill and expertise that spans the entire chiropractic wellness spectrum.Sacramento ChiropractorDr. 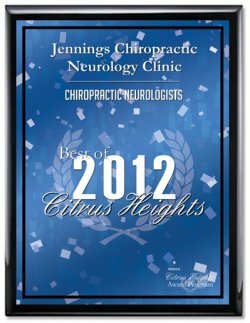 Ed Jennings is aBoard Certified Chiropractic Neurologistalso known as a Functional Neurologist.He is committed to bringing you better health and a better way of life by teaching and practicing the principles of natural wellness care. Every function is controlled by your brain. We look at the input into the brain, how it processes signal and the output of those signals. "Functional disconnections or Sensory mis-match of information" lead to neurological and structural disorders but also affect thinking, balance, movement, immune function and more. We have a variety of tools and therapies to address your needs. Edward D. Jennings, D.C., D.A.B.C.N., Q.M.E. Dr. Ed Jennings, born inYoungstown,Ohio, graduated fromYoungstownStateUniversitywith a B.S. in Education. He obtained his Doctor of Chiropractic degree from Palmer College of Chiropractic in Davenport, Iowa. While attending Palmer, Dr. Jennings played rugby and was a member of the Midwest Collegiate Championship team. He continues to play Old Boy Rugby on occasion. 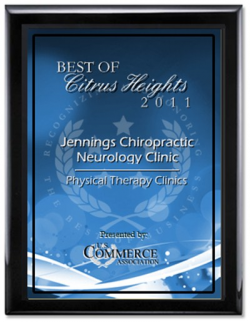 Dr. Jennings is Boardcertifiedby the American Chiropractic Neurology Board. He holds Board Certification in Pain Management through the American College of Pain Management and is aCertified Chiropractic Sports Physician.